Warrior hops are a high alpha varietal with an incredibly smooth bittering agent. 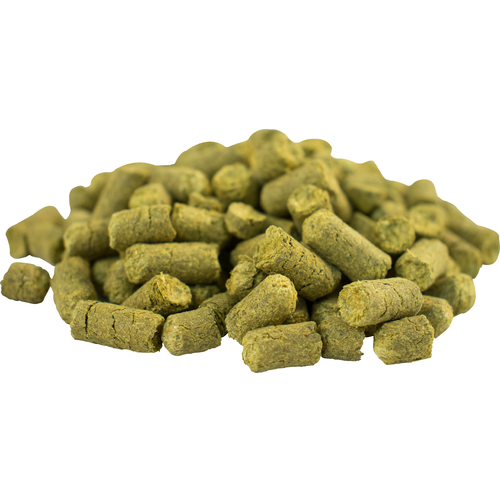 Though not typically used for their aromatic qualities, Warrior hops can add mild notes or resin, citurs and herbs to your IPA or Pale Ale recipe. Great high Alpha hops. Use for bittering. They have a mild neutral flavor so the grain flavor comes through, but really kick up the IBU count. What can I say, its a super clean high alpha. It is the only bittering hop I use now. 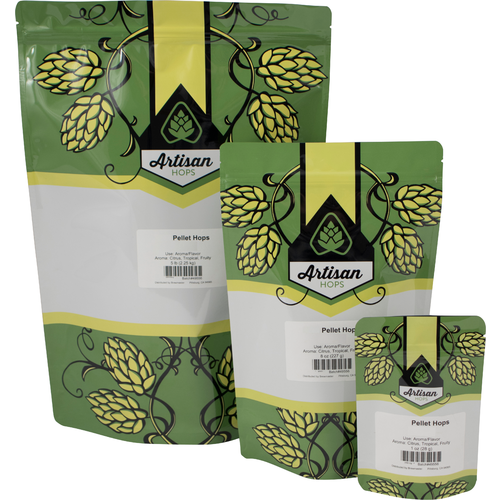 Save your fancy aroma hop for the late addition or dry hop. Hops don't last too long with not handled properly. MoreBeer obviously sells a lot and when they keep them in stock, they seem to do it the right way. Using for some new IPA’s i’m Trying, so far so good. Good high AA bittering hop. Neutral flavor as a bittering hop lets your late addition flavor and aroma hops really shine. Very nice smooth bittering hop. Doesn't add a ton of flavor, which is great for NEIPAs. Provides a distinct flavor since I do not typically use these hops. Very high alpha acids, excellent alpha acid stability, and smooth bitterness make this a great bittering hops for almost any style of beer. The storage properties mean that you can trust this to provide good bitterness even a year after packing. I have started using this in place of magnum, which was my go-to bittering hop, because it is a little less expensive; they are very similar hops. Which is great! Great use as bittering hops - never tried for flavor or aroma though. I like using Warrior when I need IBUs but little flavor contribution. Its flavor contribution can get lost when adding it late in the boil along with higher-oil varieties. I've found myself using this hop more and more. Sometimes due to forced substitution but never let down. I developed my IPA recipe using Warrior for bittering. Although I am a West Coast guy I find many of the bittering hops used just lay on the tongue and get in the way of the flavor additions. Warrior has firm, dissipating bitterness that allows late addition flavors to have their moment.